Marc Bredif Vouvray 06 Loire Valley France is a lovely delicate wine drinking well now. Would buy again. Pyramid Valley Lebecca Riesling 06 Marlborough is in a lovely sweet citrus style. I taste Mandarin & Pink grapefruit. Beautiful. 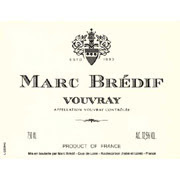 We have since found that Nosh in Ponsonby has the Marc Bredif Vouvray for sale there at NZ$31. I love the Bredif, only wish I could find some of the Pyramid Valley wines in my neck of the woods.